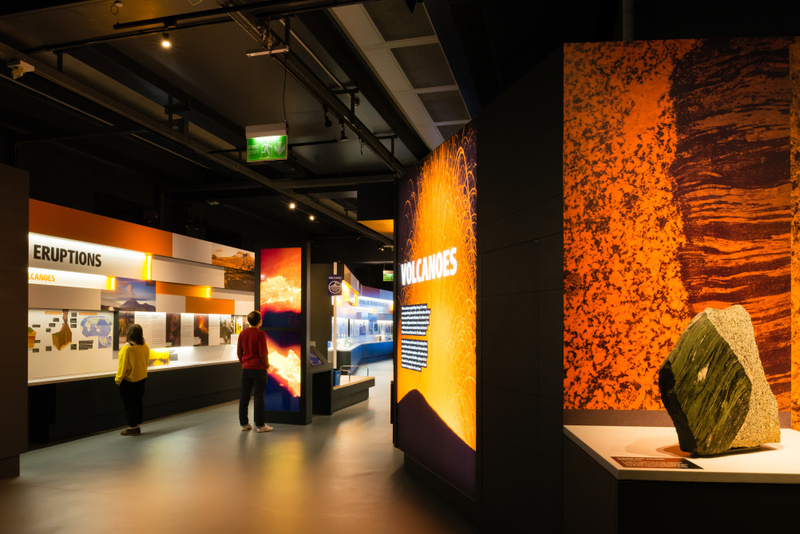 Designmap has created the new permanent Volcanoes and Earthquakes exhibition for the Natural History Museum in London, which features an earthquake simulator and allows visitors to digitally create their own volcano. 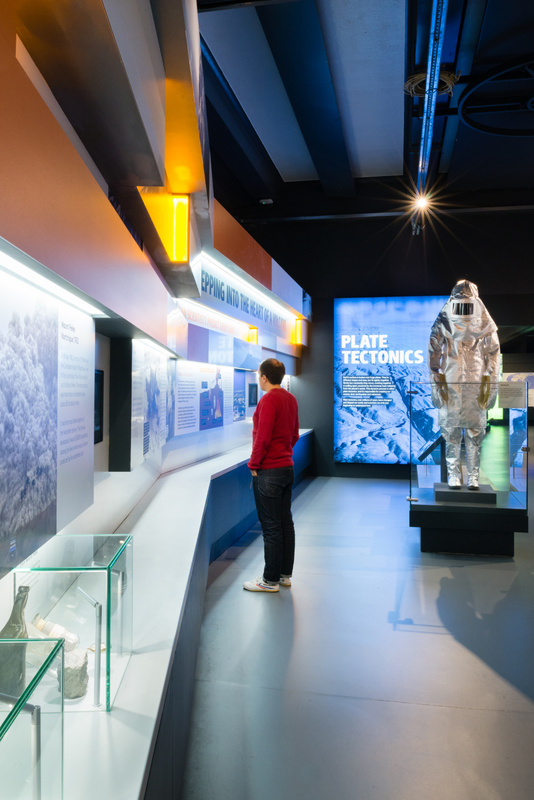 The consultancy worked alongside the museum’s in-house project management, interpretation, engineering, interactive and AV teams to develop the exhibition. As well as creating the exhibition design, the consultancy was also responsible for the exhibition’s graphics and animations. Briefed to create a look and feel that reflects the power of tectonic plates, volcanoes, earthquakes and tsunamis, Designmap’s overall spatial design was ‘inspired by rock strata and tectonic plate movement’, according to consultancy creative director Daniel Sutton. Sutton says, ‘The existing exhibition was very dated and a lot of the understanding and the science has developed since then. 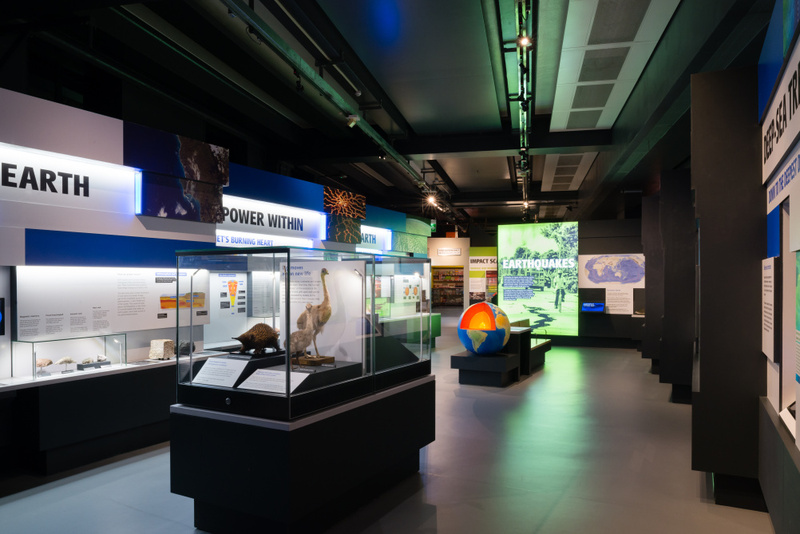 Content-wise, the gallery’s changed too, so we had to come up with a new scheme to communicate the new science is a dramatic and engaging way, but it’s a designed gallery, not a theme park-style experience’. Features of the exhibition include giant fabric light boxes, high-definition screens showing films and animations, physical interactives and showcased and open display objects. Users are able to digitally create their own volcano, selecting the type of lava flow and explosion they want to see. These are then displayed in an animation created by Designmap. 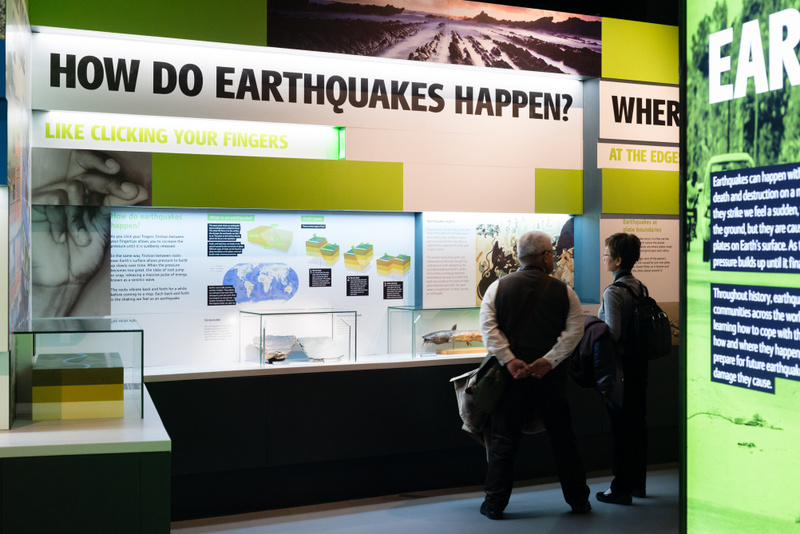 Another interactive demonstrates the movement of tectonic places by users turning a physical handle, which moves the plates to ‘build up pressure – then there’s a physical snap’. At the end of the exhibition, the ‘earthquake simulator’ has been retained, in which visitors enter a mock-up of a Japanese supermarket, which shakes to give the impression of experiencing an earthquake. ‘As well as all the drama, we wanted to communicate the human story’, says Sutton. 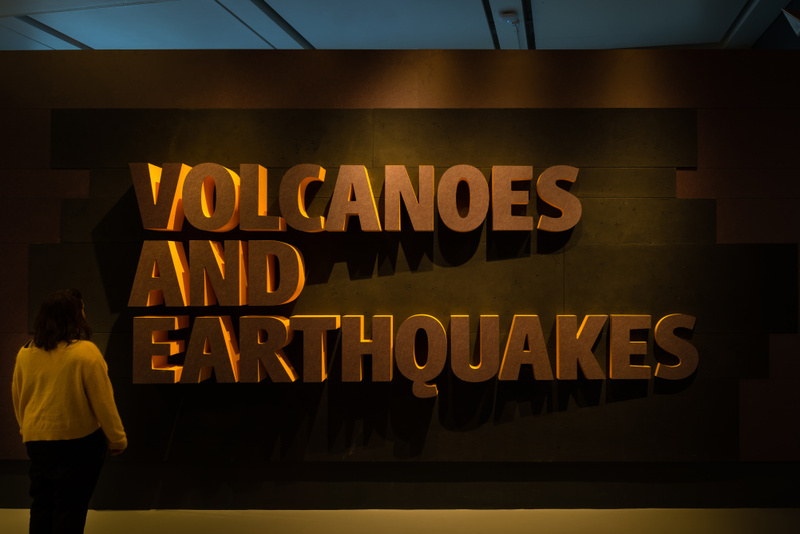 The Volcanoes and Earthquakes exhibition will be on show at the Earth Galleries for the next 15 – 20 years. 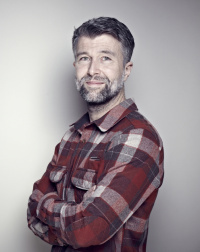 Designmap was appointed to the project in September 2012 following a creative pitch against around five other consultancies. Love the Volcanoes and Earthquakes exhibition graphic!